Beginning the 2015 school year was a little different than beginning 2014’s school year. This was mainly because it was my second time around and I’d already been there, done that. It can be easy to fall into the same routine of what worked last year, but it’s important to keep things fresh – not only for your students but for you too. 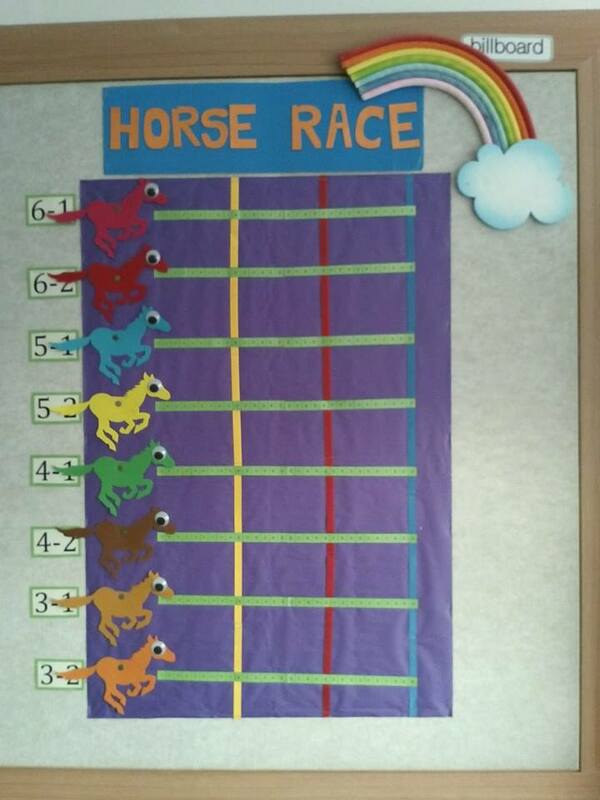 Last year, being the Year of the Horse, my co-teachers and I decided to design the class reward system around the theme of horses. Each class was given a horse and then if they behaved well on a given day, their horse got to move forward on a “race track”. Last year’s horse race chart. This year being the Year of the Sheep, though, and sheep not being very fast, we decided to redesign the system. My co-teacher, JH, actually came up with the brilliant idea of making each class own a “farm” on which they would collect sheep over the course of the year. I contributed the name “Sheep Ville” and we were in business. A complaint the students had had about the previous horse race system was that the competitive nature between classes was stressful and that once they fell too far behind, they had little motivation to catch up/behave well. By having the farms as units unto themselves, we both solved that problem and hope to encourage the students to be introspective and conscientious about their own class’s behaviour. 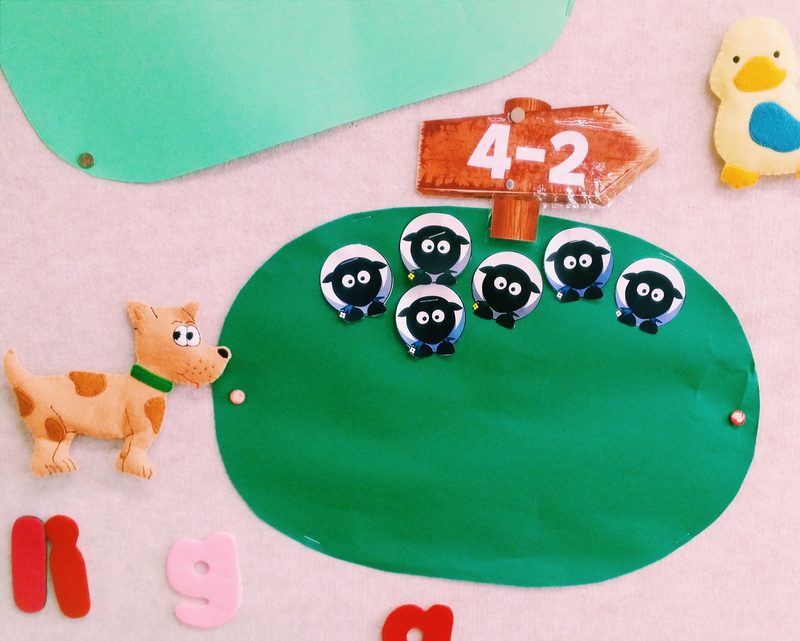 We also made a change in our bonus chart (the thing that decides if they get a sheep at the end of class or not). Last year, we had a 🙂 and 😦 chart. If they performed well, they got a happy face. If they were misbehaving or not following our class rules, they got a sad face. Three or five happy faces (depending on the grade) meant they got to move their horse forward while three or five sad faces meant extra homework and punishment. While this worked, it also had the drawback of if a class got the requisite number of happy faces, it started not caring about its behaviour anymore. This year, we’re using a + / – chart. 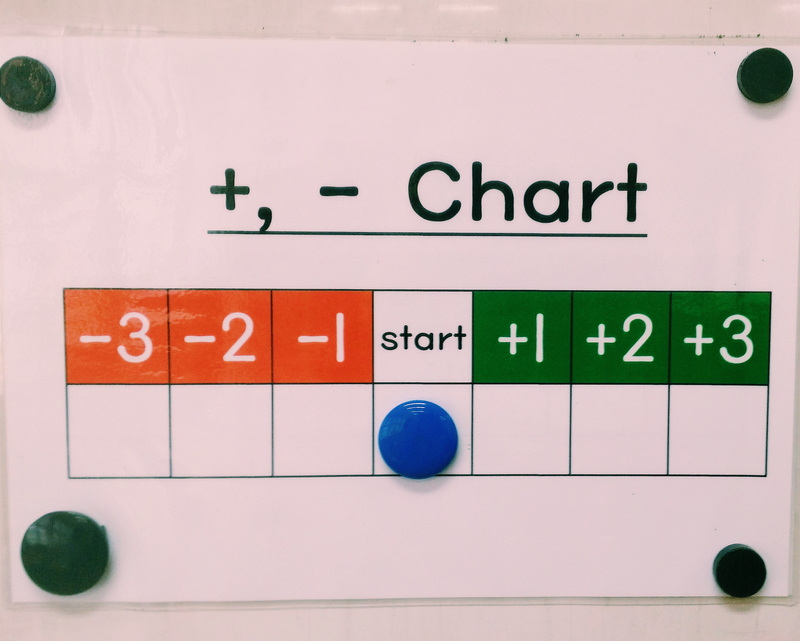 Plus/minus chart for rewarding/disciplining the class. It’s incredibly simple – all you do is move a magnet along a line to indicate where their behaviour is falling (up to +3 and down to -3), but they respond to it like magic. They really want that +3 (if achieved at the end of class, it’s equivalent to a sheep), and the threat of a minus point is enough to tell off their fellow classmates for being too noisy (as a -3 means taking away a sheep and extra homework). For us teachers, it means that they have to ensure their behaviour is at a level standard for the whole class, not just for three peak points, which means the very important skill of self-modulation is being applied (whooo!! Not having to shout at them to be quiet!). So far it’s been working really well. I can’t say if it’s this system or other factors, but my grade 3/4’s have been particularly good! 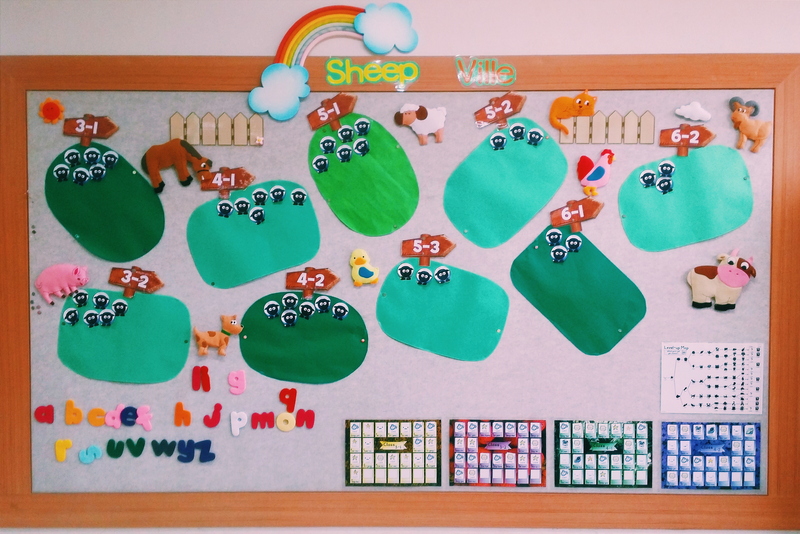 Look at all the happy sheep in my grade 4-2 class! The only thing I liked better about last year was that I had a tiered reward system where, as they reached certain goals, they were rewarded. For example, at 10 points they got to learn an English song; 20 points was a game day; 30 points was a movie day. None ever made it to 30 and only one class got to 20, but I still liked having them “level up” in a way, gamifying the classroom. As it stands now, we’ve made it so at the end of the year, if they reach 10 sheep, they get a movie day; 20 sheep, they get a snack party; 30+ sheep means a prize raffle. They seem pretty excited about these goals though, so who knows – maybe it’ll be motivation enough even if it is in the far future! Anyway, quick post on ESL life before the weekend. Have a good one, guys! How did you know ? ! The charts are SOOO CUTE & imaginative! I want to play too! Wonderful charts and systems. Delightful animals!!! I’ll be in the same class as Jo-Ann and we’ll have the happiest sheep of all.